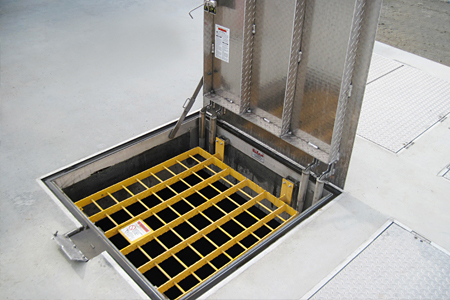 Roof hatches provide safe and convenient access to roof areas for maintenance personnel or equipment. 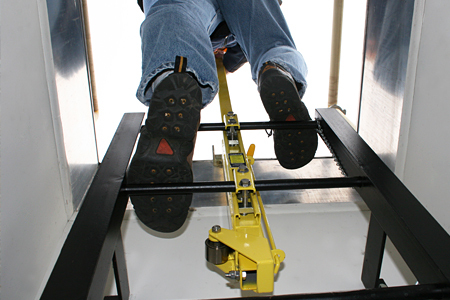 Fixed railing systems meet OSHA requirements for fall protection around roof hatch and automatic smoke vent openings. 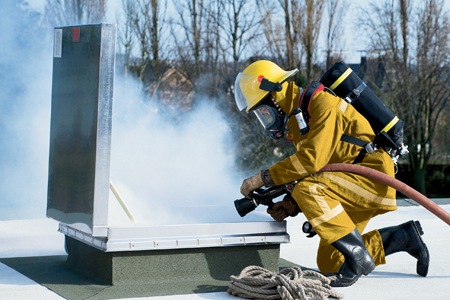 Automatic Smoke Vents protect property and aid firefighters in bringing a fire under control by removing smoke, heat, and gases from a burning building. 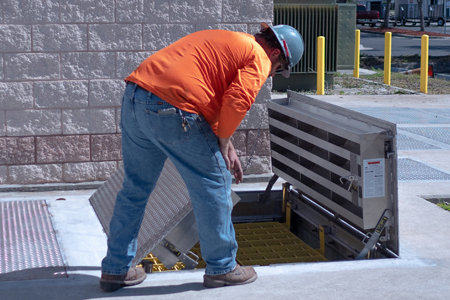 OSHA compliant Fall Protection Grating Systems allow workers to safely inspect pumps and monitor underground areas. 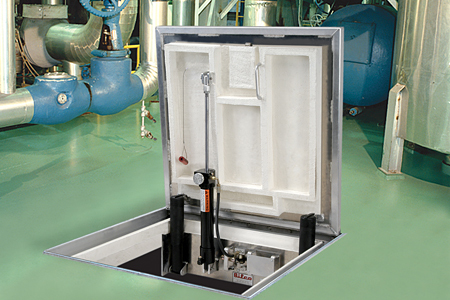 Telescoping post provides a positive hand-hold that enables users to enter or exit an opening in a safe and balanced position. 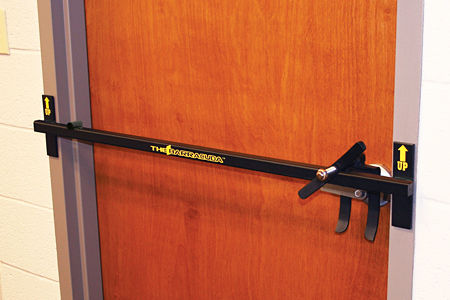 Barracuda intruder defense systems lock down vertical doors in a matter of seconds to protect building occupants against intruders and active shooters. 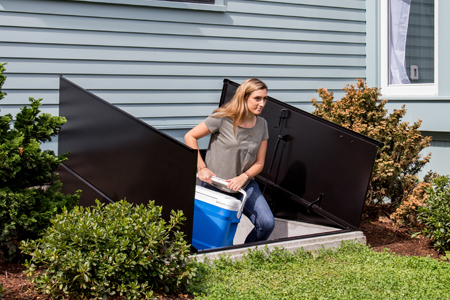 Products provide access, light, ventilation and code-compliant emergency egress to underground basements in residential applications.